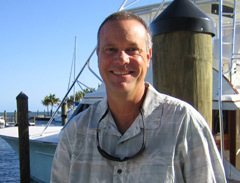 Tournament director Scott Burt reflects on his career in the sport-fishing industry. Forty-eight years ago, Scott Burt landed in the United States from his native Scotland as a teenager and began his American dream on the edge of the Gulf of Mexico. From marina odd jobs in Panama City Beach, Florida, through today, Burt has spent his life on and around the water. 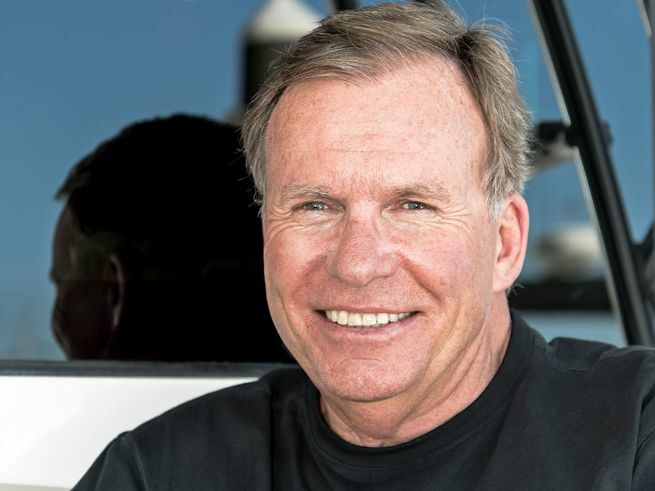 He's been a captain, harbor master, yacht broker and now owner of Coastal Marina Management. But Burt is best known for being a driving force in two over-the-top Gulf Coast marlin tournaments: the now-defunct Bay Point Invitational and the Blue Marlin Grand Championship, held at The Wharf in Orange Beach, Alabama. Q: As much as you love tournaments today, is it true you were not too excited about starting the Bay Point Invitational? Yep. In 1983, I was running Bay Point Marina. A retired banker named Wayne Davis thought we should have a tournament at the marina. My thought on the whole tournament thing was that it sounded like a hell of a lot of work, and I was right about that one. Q: So how did the Bay Point Invitational come to be? Davis kept pushing, and then Bill Spann stepped up with the financial support to underwrite the first tournament. Spann deserves so much credit because without him there would have never been a Bay Point Invitational, and probably not a Blue Marlin Grand Championship either. Once we had the backing from Spann, Davis and I talked with the other tournament directors along the Gulf Coast and came up with a plan: 50 boats, a $500 entry fee and $10,000 for first place. We hustled up and down the coast and ended up getting 50 boats that first year in 1984. That's how it all started. Q: At the time, Spann was running the Bay Point Yacht and Country Club, and he became the tournament chairman in the second year. Bill Spann had the vision. He knew we were in the business of making memories. Spann focused on the parties, bringing in big-name entertainers and creating events within the tournament. We had a Miss Billfish contest, the dock walk, fireworks, a bagpipe parade â€” the glam was all Spann's idea. He was my tournament mentor, and a lot of what we do today at the Blue Marlin Grand Championship started back at the Bay Point Invitational. Scott and his wife, Donna, take a break during the Bay Point Invitational. Q: And then a confluence of events ended the Bay Point Invitational. 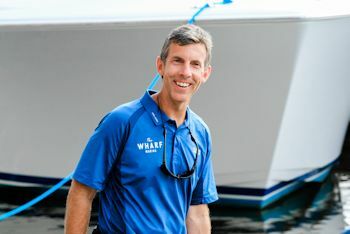 Spann left after the 2006 event, there was a change of ownership at the marina, the economy crashed and there was a decision to go to an all-catch-and-release format. I was not involved at that point, but the new marina owners brought me back to run the event in 2007. The decision had already been made that, starting in 2008, the Bay Point Invitational would go all catch-and-release. The marina owners believed in the concept, and I had just enough confidence to believe that I could make my mark. The 2010 oil spill was the final straw. Q: So it's no coincidence that your next tournament, the Blue Marlin Grand Championship, is now held on the same weekend that hosted Bay Point for all those years? Two significant events led to the new tournament. The first one was a phone call from Joe Galati, at Galati Yacht Sales, who told me about a new development in Orange Beach, Alabama, called The Wharf that wanted to host a tournament. We went there for a meeting, and Rocky Jones, from Pensacola, Florida, gave us the outline of an event that he would like to put together. I still have my notes from that meeting. The next thing was when my company was hired to run The Wharf Marina. Now I had a tournament partner, a marina and prime dates of the summer marlin fishing season, since Bay Point was no longer in operation. The Blue Marlin Grand Championship was born. Q: That event sees crowds of more than 10,000 people show up for the weigh-ins. That is a big draw for the participants, right? It's the crowd and the venue. Our weigh-ins are held right in the middle of a retail shopping, dining and entertainment district in The Wharf. The participants feel like rock stars when they enter the arena, between the music, the smoke machines and the big-screen displays. It's their moment, and we hope to make a memory they will never forget. The Blue Marlin Grand Championship supports a number of important charities, including St. Jude Children's Research Hospital. Q: You have always stressed the importance of giving back at your events. 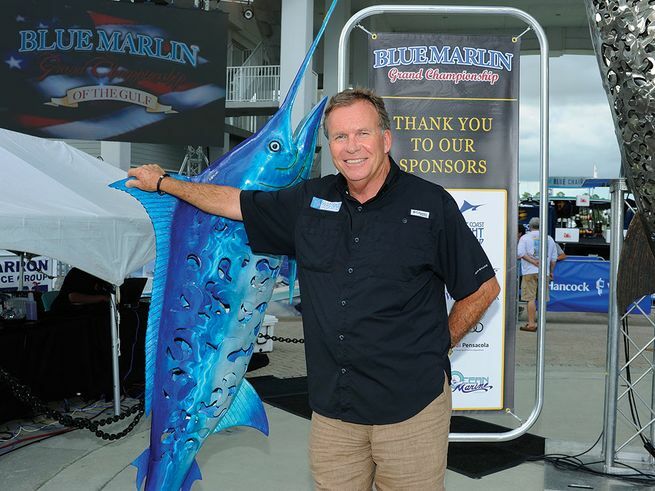 How did St. Jude Children's Research Hospital become such a big part of the Blue Marlin Grand Championship? With all the fun that happens at a tournament, we know that everyone still wants to be part of something that is helping others. St. Jude has a huge presence on the Gulf Coast, and it was my tournament partner, Rocky Jones, who first wanted to have them as a part of the tournament. An amazing moment happened during the event last year. A gentleman approached me and said how much he liked what we were doing, raising money for children and families. He shook my hand, slipped something in my palm and said he didn't want his name mentioned or any recognition. I thought it was probably a hundred-dollar bill but waited until he walked away to look. It was a check to St. Jude for $10,000. That is the impact you can make when you realize the importance of giving back and helping others. Raising money for worthwhile charities will always be important. Q: You're a big NASCAR fan. The Gulf Coast Triple Crown has a similar format, where teams chase points at each tournament throughout the summer, with one boat eventually being crowned the champion at the end of the season. The Gulf Coast Triple Crown is the most satisfying tournament series I've ever been involved with. It has created a terrific open dialog between all of the tournaments in the series as we collectively strive to improve our events. Captains, mates, owners and sponsors all embrace the chase for the championship, but most importantly for the winner, it is about being crowned the best among their peers. 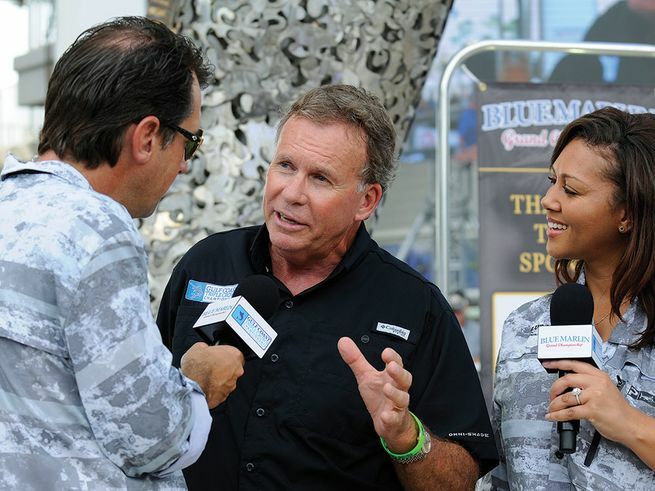 Burt explains the points system of the Gulf Coast Triple Crown in a live television interview. The Triple Crown unites Gulf Coast tournaments in order to crown a single champion team during each season. Q: Yet from Bill Spann, who was the face of Bay Point and a man who never met a camera he didn't love, you are rarely in the spotlight. That's not my role. My job is to find the right people, encourage them to make good decisions and empower them to feel ownership. 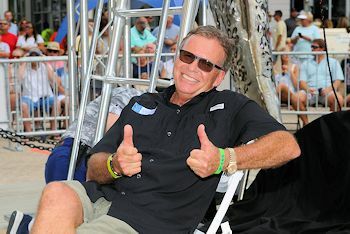 If Bay Point grew because of the glam, the Blue Marlin Grand Championship is successful because of the exceptional team we have assembled and the spectacular venue created by Art Favre at The Wharf. It's a very unique destination. Q: You pride yourself on being accessible to anyone during tournament week, but there is a two-minute window, right before the weigh-ins each night, that everyone knows you are off limits. It is my favorite part of the tournament: our patriotic fishing montage video. It's America! I think about all the opportunities I have had, and all the people who have supported me along the way. It all comes down to this great country and the wonderful people who make us the greatest nation in the world. That video personifies the bravery and the courage of our country interspersed with highlights from our tournament. As an immigrant, I am never more proud of what we do, and the country in which we do it, than when that video is playing.